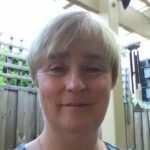 Biographical Information: Fiona Andrews has a research interest in the relationship between the built environment and the health of families with children in different urban settings. Fiona Andrews is co-leader of HOME, a transdisciplinary research hub at Deakin University that works with local communities to deliver affordable, well designed, sustainable and connected housing for all. She is also a member of CHASE, the Centre for Health through Action on Social Exclusion.